How are long term memories encoded in the hippocampus? term memory formation in a region of the brain called the hippocampus. Neurons, core cells in the brain, communicate at junctions known as synapses. Activity-dependent structural and chemical changes at synapses allow neurons to strengthen intercellular communication. This process, referred to as synaptic strengthening, underlies the creation of long-term memories in the hippocampus. 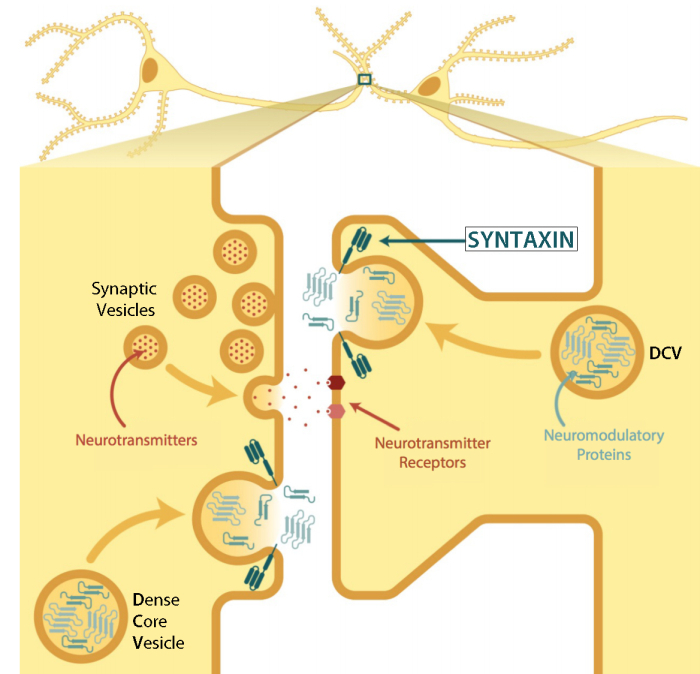 One component of synaptic strengthening involves the synaptic release of neuromodulatory proteins from dense-core vesicles (DCVs). Specialized SNARE protein complexes that drive membrane fusion mediate synaptic neuromodulatory protein release. Much has been elucidated regarding SNARE complexes in other biological settings, including neurotransmitter release from synaptic vesicles. However, limited information exists as to SNARE mediation of DCV release in hippocampal neurons. The Lochner lab employs molecular cloning techniques, disruption of gene expression, and super-resolution fluorescence microscopy to identify key proteins involved in the secretion of neuromodulators from DCVs. The syntaxin family of SNARE proteins is of particular interest because the positions of these proteins determine the sites of DCV release. These findings will extend knowledge of the biochemical mechanisms involved in learning, memory, and pathological processes. My research interests are focused on the biochemical events that facilitate long-term memory formation. Changes in neuronal architecture accompany long-term memory formation. Several lines of evidence suggest that the serine protease, tissue plasminogen activator (tPA), serves as a modulator of learning-related synaptic plasticity. To better understand the molecular determinants of synaptic plasticity, my laboratory uses fluorescence microscopy and green fluorescent protein (GFP) technology to study the synaptic localization, distribution and secretion of tPA and other key neuromodulatory proteins at synaptic sites.